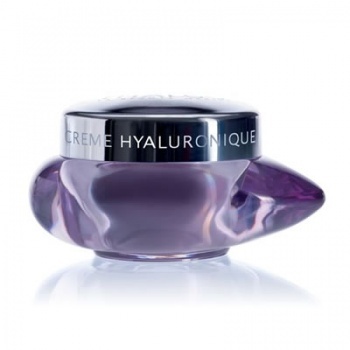 Thalgo Hyaluronic Cream has been specially formulated for people of 35 years plus, to smooth and fill the skin. Thalgo Hyaluronic Cream erases fine lines and fills deeper wrinkles with this high performance cream. Marine Hyaluronic Acid and filling micro-spheres plump the skin and reduce the appearance of wrinkles, whilst a special complex stimulates the molecules essential for younger looking skin. Apply morning and evening for beautiful skin.